The entire life of the Jewish people revolves around the question of our existence in Israel -- whether we are in a state of exile or a state of redemption. Even after the Giving of the Torah, the complete fulfillment of the commandments began only after entering the Land, conquering, and dividing it -- after the Jewish people settled in the Land. The purpose of giving the Torah at Mt Sinai -- the moment at which we became a people -- is the fulfillmenet of the Torah and the commandments in the Land. Why is Land of Israel essential to Jewish people? In the writings of Rabbi Isaac of Homil zt"l it is explained in several places that the settlement of the Jewish people in their land and the establishment of their kingdom is, in the language of Kabbalah, 'raising the aspect of Rachel'. Rabbi Isaac explains that the raising of the aspect of Rachel means revealing and shaping the true Jewish nature. In exile we can fulfill commandments and even establish Jewish community, but it is all still part of 'the aspect of Leah' - the world of conscious thought. Outside of the Land, Judaism is an intellectual and thought-out exercise; only in Israel Judaism is revealed as the Jewish soul's natural impulse, and natural expression of Jewish nature in the fulfillment of the commandments comes to light. "Mubarak": "Egyptians are not great with signs. Read the bible. We needed 10 plagues before we let the Israelites go. Ten!" Egypt is Act I in an Islamist revolution that will sweep throughout the Arab world, with Tunis at its footsteps and Jordan next on the menu. This has everything to do with Israel, although things might appear to get worse before they get better. Therefore, behold, days are coming, says the Lord, and it shall no longer be said, 'As the Lord lives, Who brought up the children of Israel from the land of Egypt' but, 'As the Lord lives, Who brought up the children of Israel from the northland and from all the lands where He had driven them,' and I will restore them to their land that I gave to their forefathers. 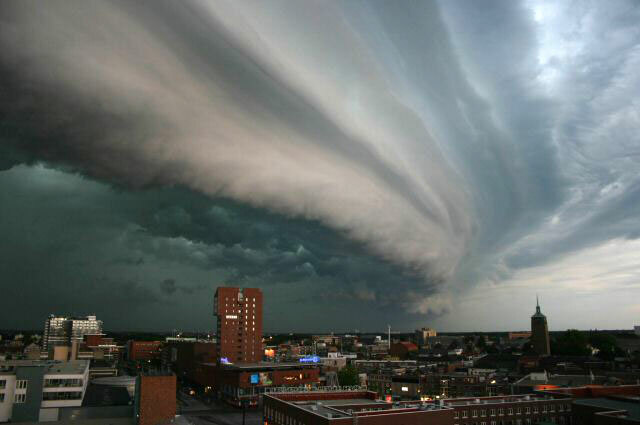 - Severe storms containing damaging winds and tornadoes from Texas to Alabama. Meanwhile in Jerusalem there are strong winds and heavy rain, reminiscent of the first big rain of the year, which followed the Carmel Fire. In response to the question: Do you support “modernizers” or “Islamists­”? Democratic protests, or the Muslim Brotherhoo­d wearing its liberal mask for the enamored western media? 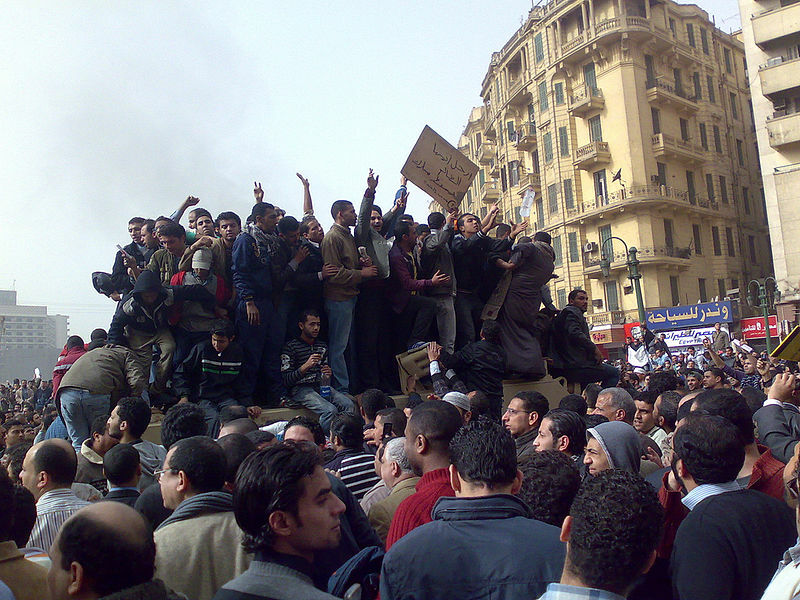 Although the U.S. probably had a role in the source of the current protests in Egypt, the situation is ultimately heading towards creating a power vaccuum which is most likely to be filled by the Muslim Brotherhood, Egypt's largest organized opposition. The protests in Egypt began days after Al Jazeera began publicizing documents humiliating Palestinian leaders in the context of talks with Israel. Speaking today in Egypt, the Jordanian Muslim Brotherhood leader warned that unrest could spread throughout the Arab world and topple leaders allied with the the West. As Atlas Shrugged points out, the Muslim Brotherhood is busy whitewashing its image in the Western press: "A new era of freedom and democracy is dawning in the Middle East and Arab world," Muslim Brotherhood veteran Kamel El-Helbawy said to reporters in London today. He also told them that an Islamist government would pose no threat to the West. This coming from an organization who states as its aim "eliminating and destroying Western civilization from within and sabatoging its miserable house." Is the West buying it? The Obama administration is currently supporting the protests' call for reforms, after pressure from analysts to not end up on the 'wrong side' (i.e. the 'left' side) of the conflict. In the media, the Daily Beast tells us not to fear the Muslim Brotherhood. One thing is clear: Egypt is heading for a power vaccuum, and the Muslim Brotherhood is its largest organized opposition. The question is, where will Obama and the EU stand? On Wednesday, the volcano on Mt Kirishima erupted, sending a tower of smoke 5,000 feet into the air. Although volcanic activity is regular in the region, this eruption was the largest in the past 50 years. On Tuesday, Mount Bromo in East Java erupted and is disrupting flights from Indonesia to Australia and other destinations until now. Meanwhile authorities in Colombia have raised the alert level of the Galeras volcano, expecting the volcano to erupt in as soon as a number of days. And looking forward, the SF Chronicle reports that the eruption of a volcano in Yellowstone could make 2/3 of US land uninhabitable. Although an eruption is due, scientists cannot issue a formal warning because they do not have an exact date. In the age of human dominance, Hashem shows his might. We are not all-powerful; only God is all-powerful; in fact, ein od milvado, there is nothing other than Him. "Palestinians have a moral right to their terrorism"
The revelations in detail (Report, 25 January) of the intransigent greed, the escape from decency, of Israeli governments in negotiation with our selected leaders of the Palestinians, serve one purpose among others. They provide a further part of what is now an overwhelming argument for a certain proposition. It is that the Palestinians have a moral right to their terrorism within historic Palestine against neo-Zionism. The latter, neither Zionism nor of course Jewishness, is the taking from the Palestinians of at least their autonomy in the last one-fifth of their historic homeland. Terrorism, as in this case, can as exactly be self-defence, a freedom struggle, martyrdom, the conclusion of an argument based on true humanity, etc. Honderich makes a distinction between Zionism, defined as the creation of Israel in its original borders, and neo-Zionism, the expansion of Israel beyond its original borders, child of 1967, against which terrorism is legitimate. Honderich's argument is seriously flawed. In 1967, it was Israel's enemies themselves who instigated war. Days before the Israeli strike, Egypt closed the Straits of Tiran, an move defined in international treaties as an act of war against Israel, and Syria began deploying its troops along Israel's northern border. Until 1967, Israel was content with the borders that resulted from the 1948 war--a war also instigated by its Arab neighbors. If Israel's enemies sought its destruction in 1967, what makes Honderich think their hatred of Israel today is suddenly based on ethical grounds? This is the error of the left, eager to victimize and demonize, in disregard of historical fact. Moreover, after the 1967 war, despite massive territorial gains, Israel returned the Sinai Peninsula to Egypt for the sake of peace. Yet regarding the West Bank, the U.S. and Israel encountered the unflinching Arab rejectionist stance of the Khartoum resolution: "No peace with Israel, no recognition of Israel, no negotiations with it." The Arab world, then and now, could not come to terms with the very existence of Israel, preventing any way forward that did not involve grounds for Israel's destruction in the future. Honderich claims his arguments are not anti-Semitic. Yet despite his naive characterization of Israel's foreign policy predicament, he defends the West's attack on Afghanistan as moral and condems the 9/11 attacks. Only from Israel does he deny the right to self-defense. Al Jazeera TV coverage began tonight by criticizing Tzipi Livni for wanting a Jewish state for 'its people' and suggesting transfering the population of certain Arab Israeli villages into a Palestinian state. First of all, why does Al Jazeera think Arab Israelis want to remain in Israel in the first place? Maybe because they have it better there in terms of civil, economic and democratic rights than they ever would in a Palestinian state. Second, how is this different from Palestinian requests in every peace negotiation in history to uproot Jewish residents of Judea and Samaria? - In Saudi Arabia, Jewish (as well as Christian and other non-Muslim) religious services are prohibited. - When Jordan gained control of the West Bank in 1948, it expelled its remaining Jewish population. In 1954, Jordan granted citizenship all reisdents, except those who are Jewish. - In 1969, nine Iraqi Jews were falsely accused of spying for Israel and hung, leading to the departure of the rest of the country's Jews. 2. The 'generous' offer by the Palestinians failed to provide basic provisions, such as safe passage between Jerusalem and the proposed Gush Etzion enclave, home to 60,000 people who travel daily to Jerusalem. 3. One of the maps proposed Pisgat Ze'ev and French Hill be separated by Palestinian territory. An Israeli negotiator asks how these two neighborhoods, which today are practically in each others backyard, will be connected. Palestinian negotiator Samih responds: "A bridge can be built to connect them" !! Yeah, a bridge through Hamastan to take my kid from school to his violin lesson. Genius! How could Israel have refused? 4. The Palestinian 'offer', which gave Israel control over most Jewish neighborhoods in East Jerusalem, still maintained control over Palestinian neighborhoods of Jerusalem, such as Isawiya. Palestinians did not give up their claim for East Jerusalem. 5. One map suggested a territorial link between the West Bank and Gaza. In other words, Israel would be cut in half by a passageway from radical Hamastan to moderate Hamastan. Sounds enticing. Regardless of the futility of these Palestinian 'concessions', the peace process is history. Netanyahu will never give what Olmert the businessman offered. In the Arab world, the Palestinian leadership is making every effort to deny the leak, fearing backlash from their populace, who would never accept even the impractical arrangements listed above. In this time, when two-state solution's days are numbered, it's time to make the real case for the Jewish state, on our own terms, without kissing up to Europe or the U.S. We need to clarify to the world why we are here, and what it means that we are here. Rashi on Genesis 1:1 is a fine place to begin. 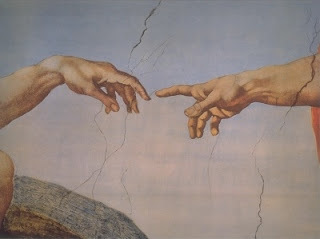 Rashi (medieval commentator): Why does the Torah open with the story of Creation, rather than with the first commandment? So that if the nations of the world say to Israel: You are occupying a foreign land, Israel can say to them: This world belongs to God. He created it, and he gives it to those who find favor in His eyes. Of His Will He gave it to them, and of His Will He took it from them, and gave it to us. Under the emerging Lieberman plan, Israel would turn over between 45- to 50 percent of the West Bank to the provisional state, though additional land could be transferred to Palestinian control in the course of future negotiations, the official said. Some Australian insurers have informed customers that while their policies cover flash floods and storm water damage, an overflowing river is not defined as a flood, according to Monsters and Critics. Did the rivers swell on their own? Iranian President Mahmoud Ahmadinejad said on Sunday he hoped for further talks with world powers concerned about Tehran's nuclear programme, a day after two days of negotiations ended in stalemate and with no clear agreement to meet again. "If the other party is determined and committed to law, justice and respect, there is hope that in the next sessions good results would be achieved," Ahmadinejad said in a televised speech to a crowd in the city of Rasht. As the Iranian regime continues to buy time to develop its arsenal, the West is advised to open a history book, or at the very least, heed warnings from its allies in the Arab world. In 2009, Deputy Supreme Commander of the United Arab Armed Forces Emirates Prince Mohammed bin Zayed wrote a memo to the US, in which he urged the United States not to ‘appease’ Iran and desrcibed Iranian President Mahmoud Ahmadinejad as ‘Hitler,’ according to Meir Javedanfar from the Diplomat. According to JTA, the Talmud will be translated into Italian for the first time in history, after Italian cabinet ministers and Rome's chief rabbi sign on to 'Project Talmud'. The Italian government's recognition of the Talmud's cultural value is noteworthy, considering its legacy. On September 9, 1553, Rosh Hashana 5314, the Talmud was confiscated and burned publicly in Rome, Italy, under the auspices of Pope Paul IV and the backing of Pope Julius III. Following the incident, Talmud burning spread through much of Italy. 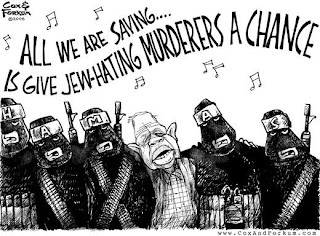 According to JTA, the Washington Institute for Near East Policy, a pro-Israel U.S. think tank with close ties to the Obama and Bibi administrations, has released proposals for a two-state solution that would allow up to 80% of Jews in Judea and Samaria to stay in place in exchange for land adjacent to Gaza, Sinai and other parts of the West Bank. The maps thus propose a contiguous Palestinian state with Israeli "fingers" into the northern West Bank. On the one hand, this proposal makes a crucial point: the "settlers" are not the obstacle to peace; with land swaps, most could stay in place, without endangering the continuity of a Palestinian state. On the other hand, the proposal is seriously misguided. First, it rests on the faulty notion that giving away the land of Eretz Yisrael will magically bring about security. The recent pullout from Gaza demonstrated clearly the backwards logic underlying this assumption; as soon as Israel pulled out, Gaza Palestinians elected Hamas and have not stopped firing rockets on Israel since. But even if we were to consider land swaps, the said proposal contains at least a serious error. It anticipates the necessity of Israel withdrawing from Kiryat Arba, currently home to 10,000 Israelis. 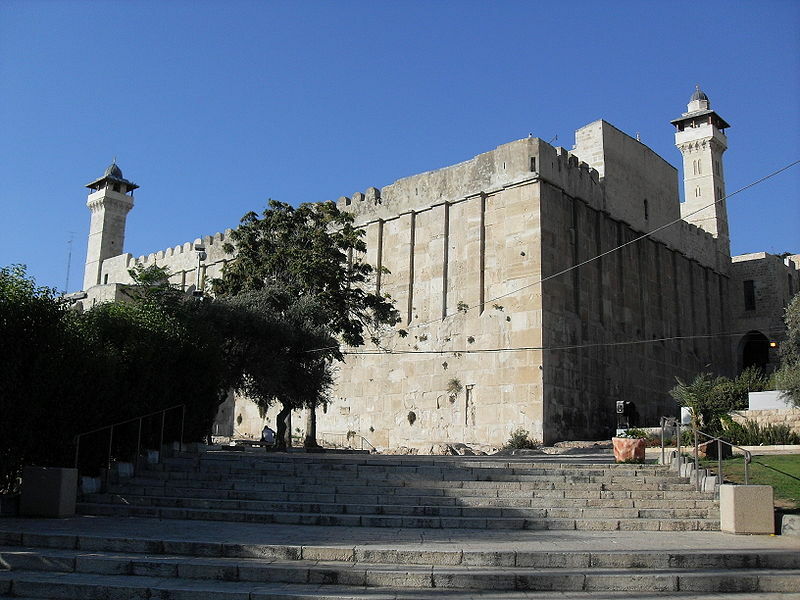 Kiryat Arba, founded in 1968, lies 5 minutes from the Cave of the Patriarchs, and is a common place for Jews around the world to stay for Shabbat and holidays when visiting the Cave. If Israel were to withdraw from Kiryat Arba, it would ultimately be abandoning Abraham, Isaac, Jacob, Sarah, Rebecca and Leah, not to mention Adam and Eve, who according to tradition are buried in the cave as well. In this difficult hour for the State of Israel, which is facing harsh pressure from the nations of the world, and especially from the 'western power,' to give up our right to our historic homeland, I am taking the step of wishing you 'chazak ve'ematz' (be strong and firm) from the heights of the Judean Mountains, the birthplace of the Kingdom of Israel, the place where our holy Forefathers rest, and the location in which Israel's greatest leaders lived and acted in the past. Leviathan is the name of an archetypal sea-creature, which is destined to wage battle against the Behemoth, only to be consumed by the righteous at the end of days; an animal of "the sea" (a symbol for the concealed realm), it symbolizes the category of righteous souls who are concealed in this world (and whose essential "occupation" in Torah is in its concealed aspect, the Kabbalah--esoteric tradition). 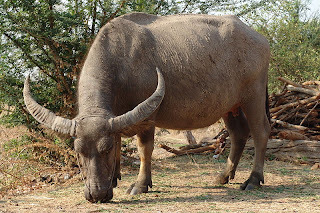 Our sages in the Talmud describe an encounter between the Leviathan and the Shor Habar, the "wild ox." The wild ox will gore the Leviathan with its horns, and the Leviathan will slaughter the wild ox with its fins. 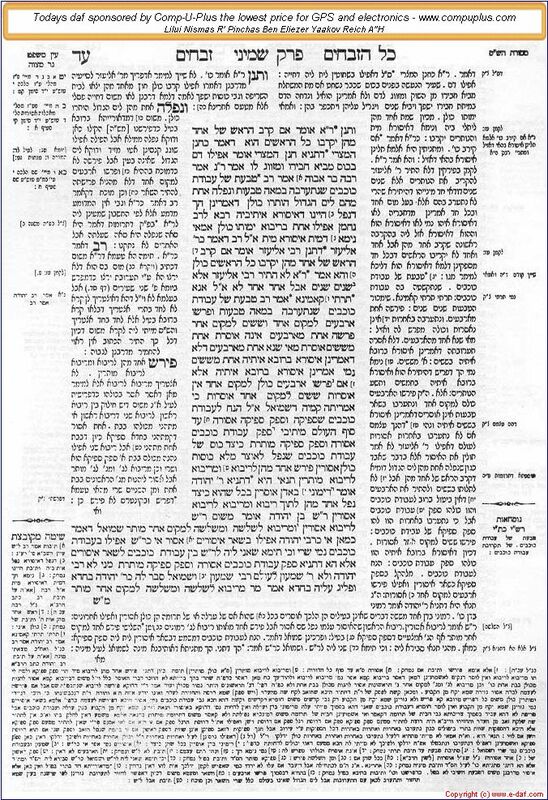 Although this passage in the Talmud has deep symbolic meaning, Maharsha writes in his commentary on the Talmud that the Feast of Moshiach will also take place literally. The Leviathan and the Shor Habar (wild ox) symbolize two types of divine service. 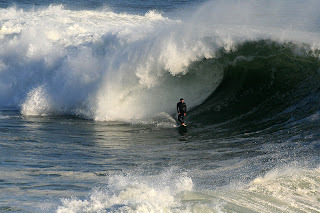 The Leviathan, which lives in the sea, represents spirituality, which is hidden. There are righteous people whose main form of divine service is to separate themselves from this world in order to engage in strictly spiritual pursuits. 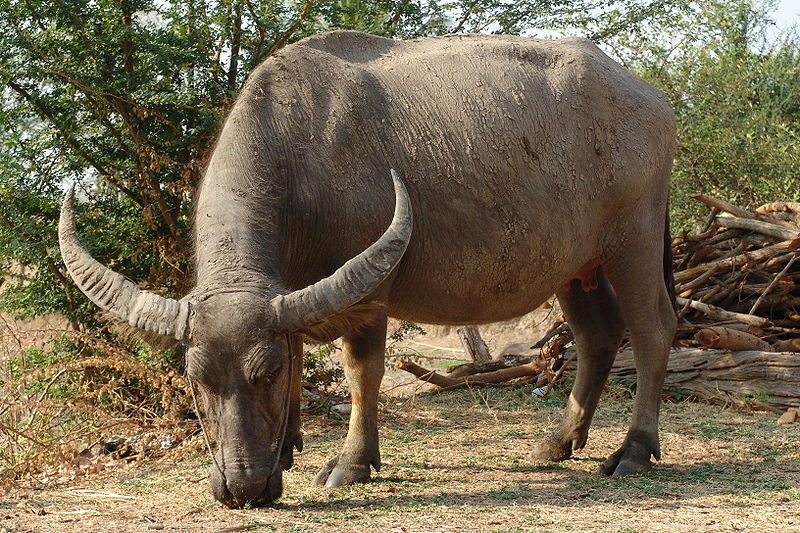 The "wild ox" which lives on land, represents the physical realm. There are righteous people who struggle to infuse the physical with holiness. The term "bar," which literally means "wild," shares a root with the Hebrew word "Birur" - refinement. The task of these righteous people is to refine the physicality of the world. The righteous symbolized by the Leviathan reach superior levels of spirituality. However, the second type, who purify the physical, complete the purpose of creation, which is to refine the physical world. When the redemption will come, the two classes of tzadikim will influence one another, and each will absorb the special qualities of the other. In spiritual terms, "slaughter" means to elevate. This is the spiritual meaning of the mutual "slaughter" of the Leviathan and wild ox: Each type will elevate the other to its own stature. Thus, through the combined efforts of the two types of tzadikim, the highest levels of spirituality will be drawn down into the physical world. A massive fish kill that has been ongoing since early January has affected a wide cross section of estuarine and reef species, including mullet, flathead, luderick, whiting, catfish, angel sharks, and rock cod. Tourists and residents of Callala Bay, Hare Bay and Red Rock have reported thousands of dead and dying fish on beaches and shallow water. Dozens of dead blackbirds, mallards and magpies have been found in a Beijing suburb along the Xiaojing River. Initial explanations include starvation and unfavorable weather conditions. A Holocaust denier who believes there is a Jewish conspiracy to eliminate other races received a gun license in Australia, despite being deemed a possible security risk. Darryl Potts, an elevator technician at Parliament House in Canberra, had his pistol license revoked in 2009 by New South Wales police after he expressed white supremacy views. But the New South Wales Administrative Decisions Tribunal ruled this week that even though Potts may hold offensive views, he is entitled to a firearms license -- despite a psychiatrist's assessment that he had the potential “to put public safety at risk.” Potts told the tribunal that he did not believe 6 million Jews were killed in the Holocaust. Manny Waks, the president of the Jewish community in the capital, told JTA that “This is a concerning development for the Australian Capital Territory Jewish community. Based on the media reports, here we have a virulent anti-Semite who has been assessed by a psychiatrist as having the potential to put public safety at risk, possibly in legal possession of a firearm. Some 600 Jews live in Canberra. As Australia is experiencing the worst floods in its history, the Chabad in its capital city will open a new mikvah (Jewish ritual immersion pool) in February. After more than half a century with no rabbi, no Jewish school or kosher butcher in town, Canberra’s 2000 Jews are beginning to see change. 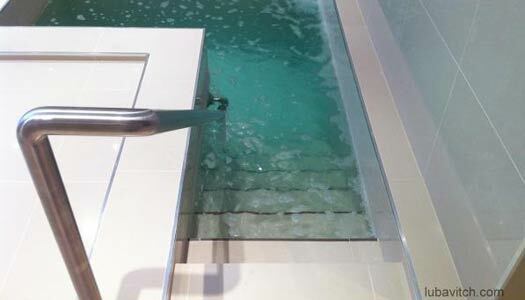 One of the first projects that Rabbi Dan and Naomi Avital launched when they opened a Chabad center in Australia’s capital city, in March 2009, was the construction of a mikvah. For a community that has been lacking the basics, says Rabbi Avital, it’s imperative to start from the beginning. 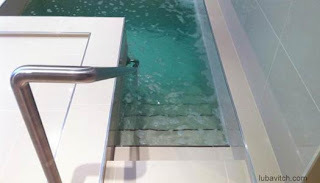 For local women who were making the three hour trip to Sydney for the nearest mikvah, Canberra’s new mikvah will make life a whole lot easier. What’s more, the Avitals expect that many additional women for whom the three hour trip was too much, will also begin using Mikvah Chaya Mushka Canberra. Naomi Avital, director of Mikvah Chaya Mushka who will be teaching classes on the laws and traditions of the mikvah, says that 15 women have already expressed an interest using the mikvah. “By exploring the spirituality and importance of the mikvah in the new classes, we’ll hope to remove stereotypes and any fears about the mikvah,” she says. The new mikvah will be formally opened in February by US Ambassador Jeff Bleich. The elegant, state-of-the-art ritual bath was co-sponsored by Eliezer Kornhauser, a Melbourne based developer and a major supporter of Chabad activities in Canberra. In 2008, Johansson said in an interview with Israel's Channel 2 that her mother is of Ashkenazi Jewish descent and brought her up with a basic observance of Shabbat and holidays. She identifies as Jewish. The heroes of nations will make pilgrimage. According to JTA, 20 Jews from Tunisia have come to Israel amid the political situation in the country. Ten are members of one extended family who are making aliyah; the other ten are participating in programs and may do so in the future. Others in the country are considering making aliyah. About 1,100 Jews live in Djerba, while about 400 live in Tunis. On its website the Jewish Agency is offering to assist any Tunisian Jew to leave the country for Israel. The Tunisian Jewish community dates back to the Roman period, when the Romans exiled the Kohanim as far as possible so as to quell possible attempts to reconstruct the Temple and Jewish worship. Most of today's Tunisian Jewish community in Djerba are Kohanim and have remained loyal Kohanim for centuries. 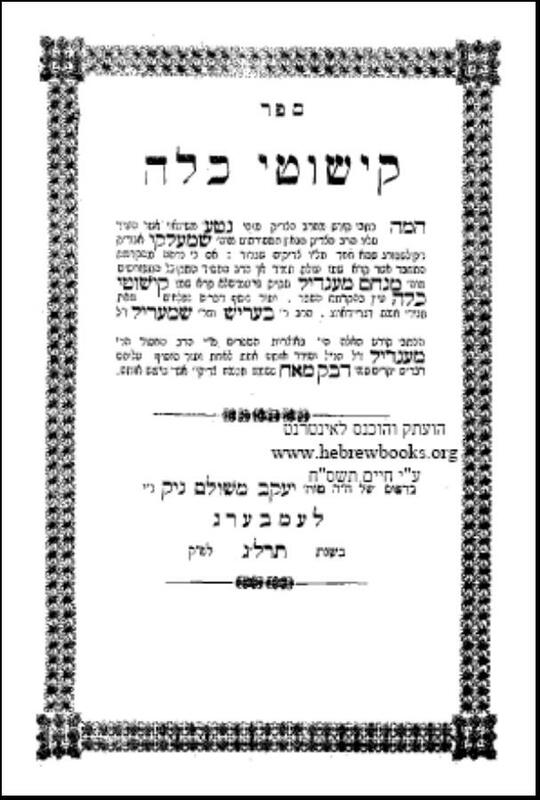 The Ga'on Rabbeinu Chananel, Rabbi Chananel ben Chushiel, was an 11th-century Tunisian rabbi. 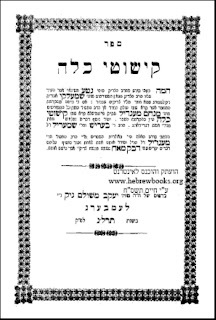 Yaakov ben Nissim was a Tunisian Jewish philosopher who wrote an Arabic translation to Sefer Yetzirah, the one of the first texts of Kabbalah. 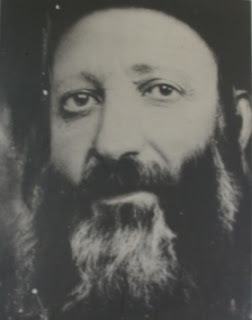 HaRav Nissim Gaon, Rabbi Nissim ben Yaakov was a great Tunisian Talmudist. During the Spain and Portuguese Inquisition in the 15th century, some Jewish refugees arrived in Tunis. The popular Israeli singer Etti Ankari, who has recently reconnected with her Jewish roots and embraced a religious lifestyle, is from a Tunisian Jewish family. For the mountains may move, and the hills may shake; but My kindness shall not depart from you, neither shall My covenant of peace be removed, says Hashem, who has compassion on you. In Washington state, landslides closed sections of three state highways. In Portland, what started as a sinkhole washed away over 50 feet of Highway 22 near the Oregon Coast. Meanwhile, on Thursday the National Weather Service warned of further landslides as heavy rains are expected for western Washington, where soils are already saturated. In the Phillippines, at least 60 people have been killed by floods and landslides, and 27 are missing. On Thrsday, Phillipine weather authorities warned that a northeast monsoon and a wind convergence may trigger flash floods and landslides in thea areas of Eastern Luzon and Eastern Visayas. In Brazil, in recent flooding and landslides that are now being called the country's worst natural disaster, over 700 have died and over 200 are missing. Here is a video of a man miraculously rescued after being buried alive in mudslides. The final deathtoll from Brazil floods and landslides is likely to hit 1,000 as hundreds are still missing, with entire towns buried and entire families wiped out. 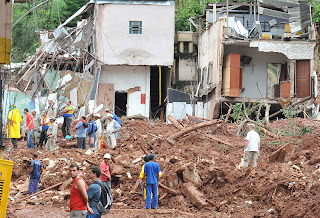 'There are families that were so decimated that there is no one left to confirm who is missing,' said a spokesperson for the Nova Friburgo Civil Defense agency. 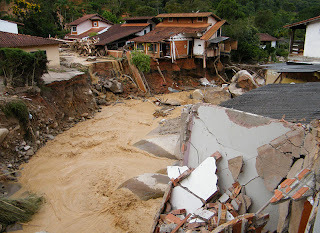 Hundreds are still at risk of fresh mudslides, cut off by damaged raods and bridges. Streams turned into wide, deep rivers. There is a huge geographical change; it's as if towns were completely reshaped. Meanwhile, yesterday Brazil blamed Israel for the demise of talks with the Palestinians and condemned Israeli construction in Judea and Samaria, which includes Jerusalem. Brazil is also leading the current trend of South American countries recognizing a Palestinian state outside of the context of negotiations with Israel. We will not fear when the earth changes and when mountains collapse into the heart of seas. His waters shall stir and be muddled, mountains shall quake from His pride forever. The river's streams shall cause the city of God [Jerusalem] to rejoice, the dwelling-place of the Most High. God is in its midst that it should not tremble; God shall help it as morning approaches. On Wednesday, Brazil and Malaysia's ambassadors blamed the collapse of negotiations on Israel's refusal to extend the building freeze, and called to halt all building in Judea and Samaria. "We once again reiterate our call on Israel to heed the unanimous call of the international community in this regard," Brazil's permanent representative to the UN, Maria Luiza Ribeiro Viotti, said in an address to the Council. 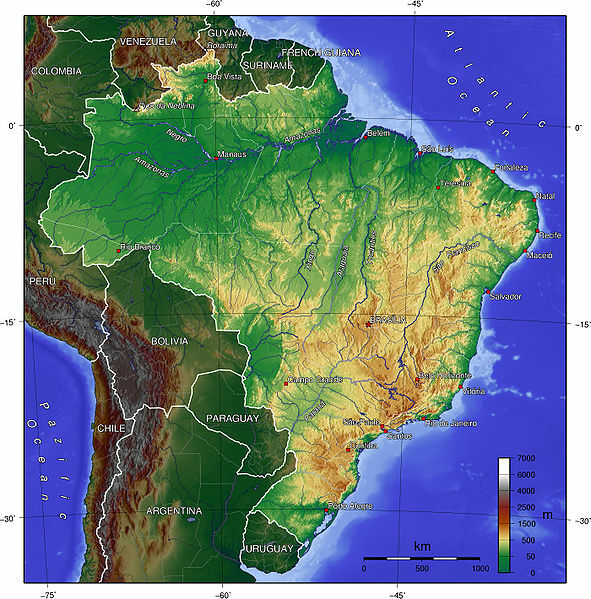 According to the World Politics Review, Brazil is the country responsible for the trend of Latin American countries' recognition of a Palestinian state. Lula, Brazil's past president, assembled a constituency of developing nations in Latin America, Africa and the Middle East, all supportive of Brazil's worldview. According to the Review, Palestinian state recognition gains Brazil positive political momentum on a global scale. For the new administration, it gives President Dilma Rousseff political leeway among Arab countries of the Middle East. As more developing-world countries recognize Palestinian independence, Brazil could again find itself as vanguard of the trend. What lies behind the various countries' support of the Palestinian cause? According to the Review, Argentina and Uruguay tend to follow Brazil's lead in global politics. Bolivia, Ecuador and Venezuela are ruled by leaders with ties to the radical left dominated by anti-imperialist rhetoric. Chile's support was less predictable - as an ally of the U.S., it does not normally follow Brazil's lead. However, in this case, Pinera caved to the largest Palestinian community outside the Arab world. 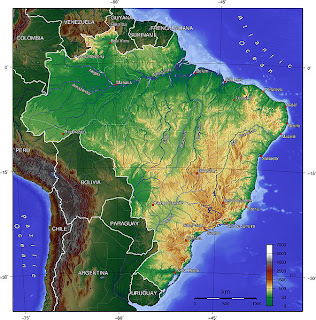 According to the Review, continuation of the trend of South American countries can be traced to Brazil's leadership and commercial interests in the Arab Middle East. According to Foreign Policy's Josh Keating, if the traditionally pro-U.S. Colombia hops on the train, the Lula foreign-policy legacy will be further solidified. On Wednesday, Russian President Dmitry Medvedev and King Abdullah II of Jordan vowed to work together to achieve an independent Palestinian state and boost energy cooperation. Before the talks, Medvedev announced: "I have told my Palestinian friends that the eventual target will be the establishment of a modern, unified and sovereign state with East Jerusalem as its capital." On Tuesday, Medvedev visited Jericho, where he met with Palestinian president Mahmoud Abbas. There he used the opportunity to call on Israel to stop building in Judea and Samaria. Medvedev said there would be "no progress" without an Israeli decision on "settlement building". On Tuesday, Australia and Britain called on Israel to halt settlement building. The remarks were made at a summit between British Foreign Secretary William Hague, his Australian counterpart Kevin Rudd and Australian defence ministers Liam Fox and Stephen Smith. “Our joint belief (is) that the parties involved should return to direct talks and refrain from acts that undermine confidence such as settlement building,” Hague said. Hear the word of Hashem, children of Israel! For Hashem has a controversy with the inhabitants of the land, because there is no truth, nor mercy, nor knowledge of God in the land. Swearing and lying, and killing, and stealing, and committing adultery--they break all bounds, and blood touches blood. Therefore the land mourns, and every one that dwells in it is depressed, with the beasts of the field, and the fowls of heaven; the fishes of the sea also are taken away. God said: 'If this be the case with your wife, a prostitute, and your children, children of prostitution, and you do not know whether they are yours or whether they belong to others, how should it be with Israel, who are my children, children of my tests, children of Abraham, Isaac and Jacob, one of the four possessions I acquired in this world: Torah (...) heaven and earth (...) the Holy Temple(...) Israel; and you said to replace them with another people? On Tuesday, Palestinians raised their flag over their diplomatic mission in Washington for the first time. At the flag-raising ceremony, Palestinian chief envoy to the US expressed hope it would help the Palestinian cause with or without a peace deal with Israel. On Monday, 200 birds were found in downtown Yankton, South Dakota. The birds were congregating downtown in past weeks instead of migrating for winter. An animal control officer reported that a veterinarian had no initial explanation for the deaths, and that in her 10+ years of animal control she has never witnessed anything like this. 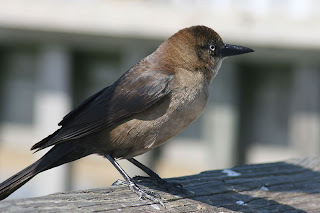 Last weekend, 300 grackle birds were found dead on the side of I-65 in Huntsville, Alabama. According to the UK Daily Mail, a witness to the incident said 'it looked like they were committing suicide'. Grackles have recently been found dead in hundreds in Arkansas, Louisiana and Kentucky. The weekend before, CA highway patrol officers found 100 dead birds just off Highway 101 in Geyserville, CA, near Santa Rosa. The brown- and black-winged birds were intact and had not been shot. Meanwhile thousands of dead gizzard shad fish have been spotted in Chicago harbors. The fish appear to be frozen to death. 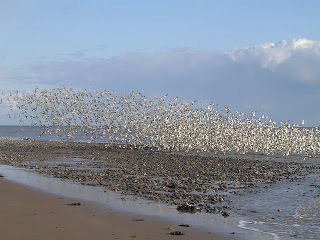 The birds of the sky and the fish of the sea, he traverses the ways of the seas. O Lord, our Master, how mighty is Your name in all the earth! In a move drawing international criticism, South Korea buried 1.4 million pigs alive to stop the spread of foot-and-mouth disease among livestock. Pictures are available here. The mass pig burials are part of South Korea's orders to cull close to 2 million pigs, deer, goats and cattle in over 4,000 farms across the country in order to slow the spread of the highly contagious disease. Among pigs and cattle, S Korea has said it has culled about 15% of its livestock. To assist in the destruction of livestock, 68,000 soldiers have been mobilized. In the past 50 days, there were 120 outbreaks of foot and mouth disease across South Korea farms, despite extensive quarantine efforts by the country. Meanwhile, South Korea's farm ministry has ordered the culling and burial of 3.57 million ducks and chickens to contain the spread of avian influenza, after confirming 26 cases of bird flu in the country. The outbreak was first confirmed on December 31 in Cheonan. 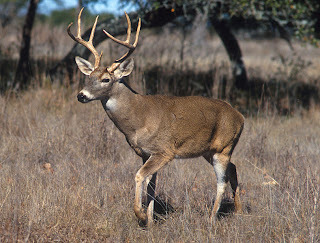 While foot-and-mouth disease is not transferable to humans, avian flu can (h'v) mutate to a form that could be easily transmitted between humans. South Korea is claiming North Korean livestock have also been hit by foot-and-mouth disease, but North Korea has not yet confirmed. In South Korea, the price of pork jumped by 43% after the massive slaughter. Losses are expected to exceed 1.26 billion. Meanwhile, across the globe, over 700 cattle, sheep, goats and pigs have been culled in Bulgaria after two outbreaks of foot-and-mouth were detected. Yesterday, 200 cattle, sheep and pigs were culled in a southeastern Bulgarian village. Last week, over 500 animals were culled near Bulgaria's Turkish border to prevent the spread of the highly contagious disease. In an effort to prevent the spread of the disease to Turkey, Bulargia will rebuild the barb wire fence along its Turkey border. The fence, originally built during the Cold War, to separate Waraw Pact member Bulgaria from NATO member Turkey, was taken down in 2004. In a separate incident, nearly 2,000 pigs died in a fire near Melvin in northwest Iowa. On tonight's premiere of CNN's Piers Morgan Tonight, Oprah is asked to describe her biggest career failure. Rather than use the opportunity to apologize for her controversial 1989 show on devil worship, parts of which are used today online by anti-Semitic hate groups, she uses her camera time to describe the depression she experienced after the flop of her movie 'Beloved', which led to a 'macaroni-and-cheese-eating tailspin'. In 1989, Oprah had no shame in giving a platform to a Jewish woman, suffering from mental illness, who claimed her family had been involved in "human sacrifice rituals" and "worshiping the devil" in since the 1700's. "There are other Jewish families across the country, not just my own family," the woman said on broadcast television, completely unchallenged or fact-checked by the host, either during or after the interview. When the show aired, the Anti Defamation League criticized Oprah for irresponsibly allowing a woman to broadcast the blood libel on the basis of "recovered memories." Today, clips from the show are used on Twitter and YouTube by anti-Semitic hate groups. “We are aware that the show has struck a nerve,” said Jeff Jacobs, then COO of Harpo Productions. He pointed out to the press that Oprah had said on the air that “Rachel” was one particular person talking about her particular situation. “And she was identified at the top of the show as being mentally disturbed,” he added, not commenting on why such a person would be allowed on the show in the first place. 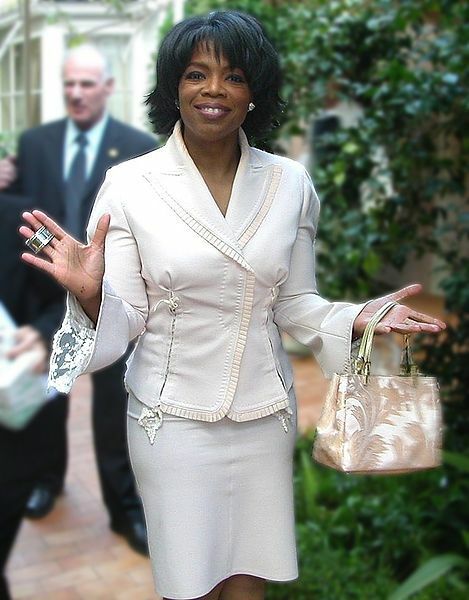 Nevertheless, Oprah refused to make an apology on her show or publicly comment on the program or the statements. It’s an inadequate response to the harm that may have been done on that broadcast. It’s not our sensitivities she ought to be concerned about. It’s a question of the integrity of her show. This apology cannot possibly reach anything like the people [7,680,000 homes, according to the A.C. Nielsen Company] who were exposed to these statements. "I have the biggest mouth on earth and the biggest platform, aren’t you glad I like it [referring to Australia]? When we do cooking shows and people might do something I don’t like, I just say I don’t like it." Still, Oprah and her producers seems to think irresponsibly airing a message charged with centuries of bigotry does not deserve a formal apology. In what Yahoo! News says "sounds like the plot of an apocalyptic action movie", a group of more than 100 scientists and experts say California faces risk of massive "superstorm" that could flood a quarter of the states' homes and last over 40 days. 40 are missing in after heavy rains led to swelled rivers and flooding in South Africa and Mozambique, where thousands of homes were also destroyed, as reported on Monday. Record low temperatures in Vietnam have frozen over 7,000 buffalo and cows to death in northern provinces this year, reports Deputy Head of Livestock Breeding Department on Friday. The Cao Bang province reported 700 deaths in one day, and 1800 deaths throughout the winter in the one province alone. Northern Vietnam is expected to face a fresh cold snap starting Saturday. On Friday, 200 cows were found dead in a Wisconsin field. 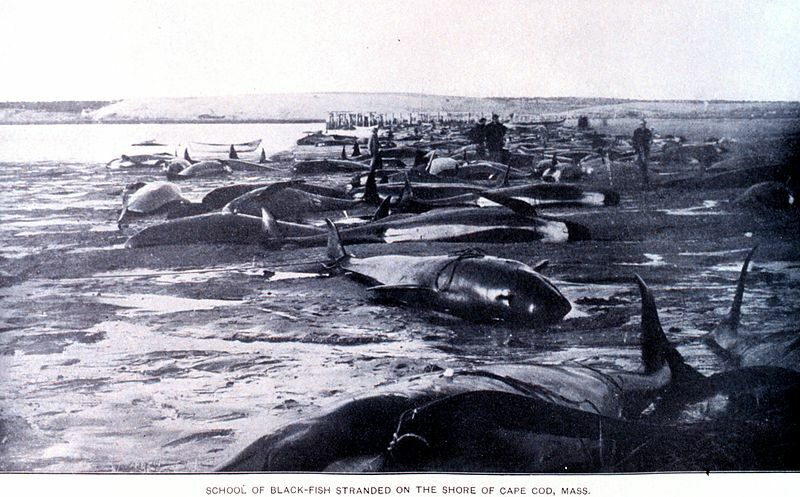 Samples are currently being examined to determine the cause of the sudden deaths. BBC's Nick Bryant: "Her eight-day tour has felt like a presidential, papal and royal visit all rolled into one." Australia's Herald Sun: "If it was even possible, 6,000 of her dearest fans who gathered to worship her on the steps of the Sydney "Oprah" House for her first show this morning, found more love in their hearts for their hero. Oprah grooved her way through the audience onto centre stage to the beat of I Come From The Land Down Under, her bright orange dress swaying in the wind, opening the show with an obligatory chant of 'Aussie Aussie Aussie, Oi Oi Oi.' It was church, Oprah style. The object of worship? A much-loved TV icon, all smiles and full of words of affection. The congregation? Screaming Oprah-files, the lucky 6,000 who beat 350,000 others to score tickets to her first of two tapings. Another 6,000 will see her second show this afternoon." Oprah, in her final words to the camera: "This experience for me and my 300 guests has been of a divine order, really heaven sent. We thank you. We thank you for your open faces, we thank you for teaching us it much better to work to live rather than live to work. Thank you for teaching us how to do it." Oprah: "I have made myself an official ambassador of Australia and I have a big mouth and a big platform. It is immeasurable what four hours of a love festival about your country, broadcast in 145 countries around the world can do." She vowed to share Australia's 'open faces' ("There’s a sense of openness and warmth I haven’t seen in any other country") with her global audience: "I have the biggest mouth on earth and the biggest platform, aren’t you glad I like it? When we do cooking shows and people might do something I don’t like, I just say I don’t like it." Oprah told the audience she now understands why they call Australia 'Oz. ': "Because it truly is at the end of the yellow brick road. After being here a week, I know this. I love Australia." An audience member: "Oprah made me the person I am today. She is my inspiration." The Herald Sun:"Another fan in the audience said she had skipped her child's sixth grade graduation to be at the Sydney show." A new king arose over Egypt, who did not know Joseph. Rashi (11th-century commentator) on the phrase 'A new king': Rav and Shmuel [differed in their interpretation]. One said [the king himself was] really new, and one said his decrees were new. rsm: Brazil and Australia, two nations recently hit by major flooding, are led by two newly-elected leaders, both of whom come in the footsteps of a past leader who was infamously anti-Israel. Brazil's Lula recently established the first Palestinian embassy in Brazil. Australia's Rudd left a deep diplomatic divide between Australia and Israel. He said to his people: 'Behold, the people of the children of Israel are greater and stronger than we are. Let us outwit him, lest he multiply; if a war occurs, he too will join our enemies and fight against us, and depart from the land. Rashi on the phrase 'Outwit him': [Him refers to] the nation. [As in] be witty regarding what to do to him. Our sages taught, let us outwit the savior of Israel, by judging them with water, for He has already sworn that He will not flood the world [again] (but they did not understand that He swore He would not bring a flood upon the whole world, but He will bring one on one nation). rsm: Major flooding is occurring now in Brazil, Australia, Sri Lanka and the Philippines. 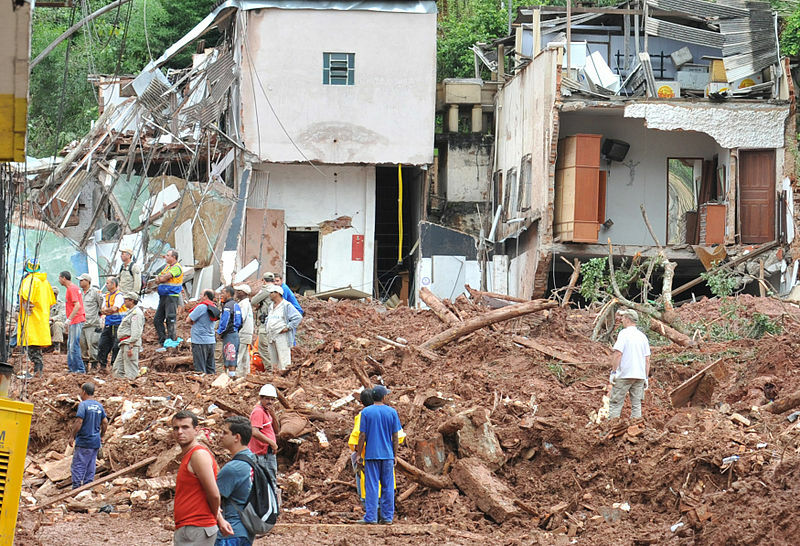 In Brazil, over 620 people have been killed by floods and mudslides. In Australia, the worst floods in the country's history have devastated large parts of Queensland and are now 'spreading' to parts of Victoria, with more rain in the forecast. Floods in the Philippines and Sri Lanka have left one million people displaced. All his people: He commanded his people as well. On the day Moses was born, his astrologers told him, today their savior is born, and we do not know if he is Egyptian or Israelite, and we see that his end is to brought down by water, therefore he made a decree that day on the Egyptians as well, as it says 'every son who is born', and not 'every son who is born to the Hebrews', yet they did not know that his end was to be brought down by the waters of Merivah [when Moses struck the rock instead of speaking to it, failing to sanctify God's name, and losing his privelege to enter the land of Israel]. rsm: Moses was destined to save the Jewish people, take them out of exile and bring them into the land of Israel. Egyptian magic foresaw that water was his 'weak spot' and attempted to foil his plan by drowning him. In return, God drowned the entire Egyptian people in the Red Sea. Every generation since includes an individual with the soul of Moses, who has the potential to bring redemption. In this sense, the war between the Mashaich and His enemies is negotiated with acts involving water. Current flooding may be merely warnings. The latest Wikileaks cable, published by the Norwegian newspaper Aftenposten, reveals that Iran has been developing contacts in more than 30 countries to acquire technology to build a nuclear bomb. 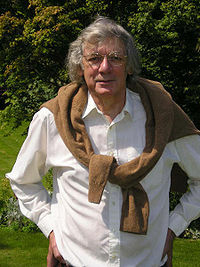 According to a French nuclear expert: "A race exists between the bomb and financial collapse." This weekend, Iran is scheduled to hold major talks on its nuclear program in Istanbul with representatives from the major world powers. Flood warnings are in place on nearly all of Scotland's rivers following heavy rain. 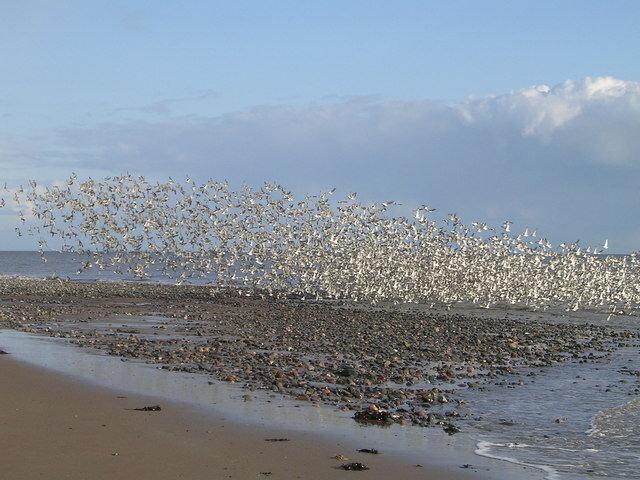 Areas along the River Eden in Cumbria, a county in Northwest England, were also on high alert. North Wales had four flood warnings overnight. Two weeks of heavy rains in the Philippines have killed 51, left 400,000 displaced people, and have overall affected 1.5 million people. Floods have killed 32 and displaced 300,000 in Sri Lanka, spurning fears of water-borne diseases and massive economic hardship following destruction of rice fields. 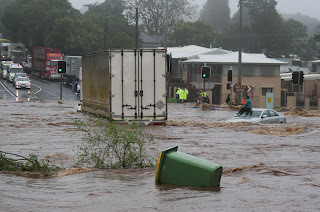 Australia's flood crisis spread to Victoria on Sunday, forcing the evacuation of 3,000 residents, just after floods killed at least 20 and ravaged Queensland in the worst disaster in Australia's history. Sharks have been spotted swimming through flood-hit streets of a town in Queensland. Some towns still do not have clean tap water. The Talmud teaches that while God promised he would not bring a flood upon the whole world again, he will bring a flood upon one nation (Sotah 11a). "Who knew not Joseph" — he was like one who did not know [Joseph] at all. Rabbi Chiya son of Abba said in the name of Rabbi Simai: There were three in that plan: Balaam, Job, and Yitro. Balaam who devised it was slain; Job who silently acquiesced was afflicted with sufferings; Yitro, who fled, merited that his descendants should sit in the Chamber of Hewn Stone.